Just Action TV | Video Blog » Blog Archive » Are you Ready to Publish your Book? Today, we are happy to present to you this interview with Joanna Penn owner of thecreativepenn.com, in my opinion, one of the best sites about writing, publishing, and internet marketing/promotion for books (in print/ebook or audio format). 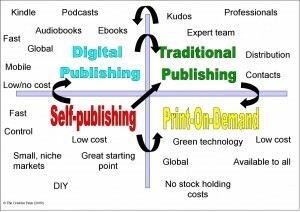 I appreciate the fact that her scope is broad covering traditional publishing, self-publishing, and digital publishing. Besides, Joanna is a kind and enthusiastic soul that transmits much positivity. Thanks so much for having me on the show Javier. I really enjoyed our chat and I hope your audience finds the information useful. Does a blog improve your options of getting your book published?